They say that behind every great man is a great woman. Well, none of these women stood behind their husbands; they stood right alongside them, and, in some cases, in front of them. While researching for The Traitor's Wife, my novel on Benedict and Peggy Arnold and their attempt to end the American Revolution, I discovered that there was much more to the infamous tale than just one man's decision to turn traitor. American history little remembers the fact that Benedict Arnold even had a wife. And not only did he have a wife - he had an intelligent, attractive, charismatic, and, ultimately, very powerful wife. A woman who influenced, and quite possibly determined his decision to switch sides. Peggy Shippen Arnold, the captivating young socialite-turned-colonial-era conspirator, has slipped through the years with very few people aware of the central role she played in her husband's treachery and subsequent downfall. How did this happen? And are there other women, like Peggy Shippen Arnold, who have been largely forgotten in history? Here's a look at some of these fascinating figures - women who occupied a front row seat in their time periods but whose names have taken a back row seat to their husbands' legacies. 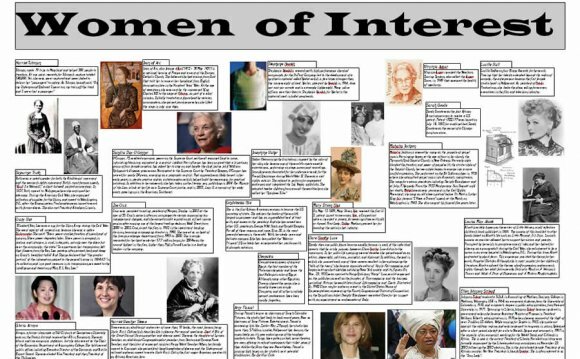 These women were everything from writers and artists to political thinkers, human rights activists and pioneers of cultural change. These women, rather than being footnotes or supporting characters, were leading lady material. When someone says the name Benedict Arnold, the word traitor immediately comes to mind. Most people are, more or less, familiar with the infamous Revolutionary War General. Many also know about Arnold's co-conspirator, Major John André, the British spy who was apprehended with Arnold's documents in his boots and hanged at the orders of General George Washington. However, very few know about the third character in the plot: a charming young woman who not only contributed to the betrayal, but also helped orchestrate it. Peggy Shippen Arnold possessed all of the elements to make her a wildly intriguing character in our nation's history - intelligence, beauty, wealth, powerful friends and admirers - and yet, so few people know she existed. In describing Peggy Shippen Arnold, George Washington famously said that half of his men were "in love" with her. When she feigned distress at her husband's downfall and exposed treason, Peggy was helped into bed and brought flowers by Alexander Hamilton and George Washington. So how did Peggy factor into her husband's infamous plot? Peggy was a loyalist to England. Prior to her marriage to Benedict, she had been courted by the British officer John André. But it seems that, though Benedict won her heart, he didn't change her loyalties. Just one month after his marriage to Peggy, Benedict Arnold began reaching out to the British, offering to work for them as a spy and betray his colonial cause. To whom did Benedict Arnold write? You guessed it - Peggy's former lover, John André. But there were women with brains and beauty working for the other side as well. Meet the woman known to historians simply as "Agent 355." And no, she was not some Bond Girl - she was one of George Washington's most trusted spies during the American Revolution. Agent 355 was a regular at New York City dinner parties, dances and soirees, seen often in the company of Britain's highest-ranking officers. Turns out, however, this woman's interests were more far-reaching than just the latest cocktail party banter or London fashion styles. When she was not spending time as a socialite in British-occupied Manhattan (or maybe even when she was), Agent 355 was a member of America's first, elite spy ring, operating in and around the critical harbor city. Little is known about this mysterious figure. Described as a person of disarming wit and beguiling charm, Agent 355 seems to have vanished at some point shortly before the end of the American Revolution. To this day, Agent 355 is the only member of Washington's Culper Spy network whose identity remains unknown. What is known is just how crucial the information was that Agent 355 slipped out of the city and into the hands of the commander-in-chief - information that helped the colonies defeat the world's most powerful military. Women in Church history have played a variety of roles in the life of Christianity.